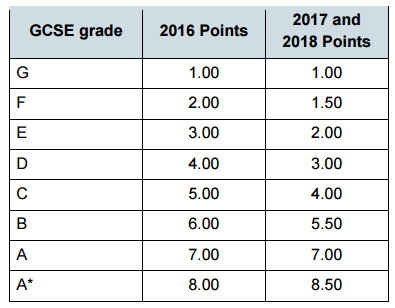 If you are a data manager in a secondary school you’ll be aware that in 2016 the DfE provided us with a table to help us translate from old the A*-G grades to the new 9-1 grades. In 2017 those values have changed (see table below) making it difficult for schools to compare different cohorts. 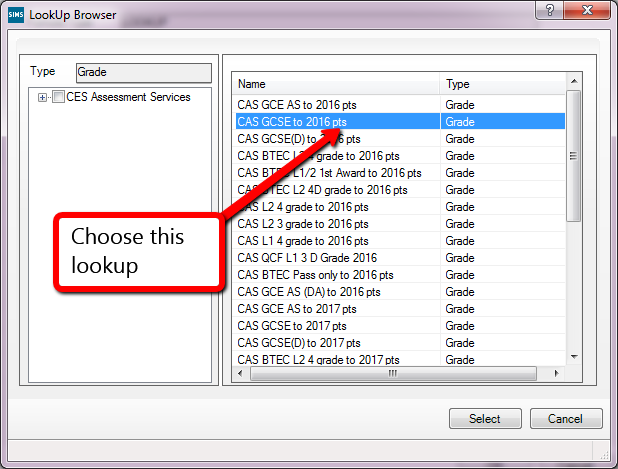 A few schools have asked if its possible to use the 2017 KS4 resource templates (CAS KS4 Overview 2017…) with 2016 points instead of 2017 values. It is possible and won’t take long for schools with a simple course structure. Before you start: you’ll need a good understanding of aspects, templates, result sets and formulas in SIMS. I also make no claims as to whether this is a statistically valid approach to comparing different cohorts. Make sure you are working on a cloned copy of the template originally called CAS KS4 Overview 2017 Y10 Autumn Term. These are formula that convert the A*-G grades into the new 9-1 grade values. Capita have to include every single GCSE course in England and Wales. Luckily, your school doesn’t offer every single course so you can ignore almost all of these courses. Identify the formula for one of the courses that your school offers, and double click on it to show the formula. You’ll see that Capita are using a Lookup formula, and have already provided a set of lookup table for both the 2017 points and the 2016 points. And that’s it. Of course you have to repeat this for all the 20-30 courses your school offers at KS4, plus any AS level qualifications that your pupils may already have gained, so for some schools this might be a big task. For non GCSE courses note also that Capita have provided lookup tables specific to BTECs, OCRs so you’ll need to adjust these instructions too. Once you’ve made all the changes, you just need to load up the marksheet and re-calculate your data. There’s no need to re-map your aspects. 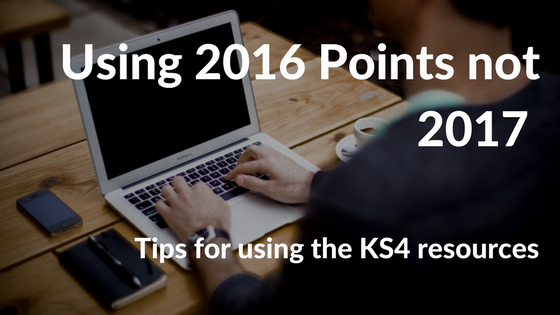 Remember to make it quite clear that the KS4 resources are now using 2016 points values rather than the official 2017 ones. Does this work for your school? Please leave your feedback for other schools below. A reminder that I offer a standalone KS4 resources course and an Assessment Course Bundle that includes the KS4 Resources course.